While you can build your dream home at RedTail from the ground up, our builders often have move-in ready homes ready for those looking to call RedTail home right now. Whether you choose to build or buy a move-in ready home, every home includes stunning views, spacious homesites, and the exceptional amenities that RedTail offers its residents. 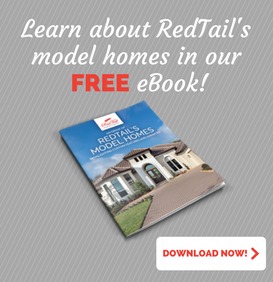 Learn more about living at RedTail. MARCH 2019 MOVE-IN. Brand new ~3200 sqft; 4 car garage, custom home situated on a half acre homesite overlooking the 11th hole of RedTail Golf Course. Soaring 12-foot ceilings with 13 and 14-foot tray features. Oversized 10-foot pocket sliding door leading to an expanded covered lanai with brick pavers and future outdoor kitchen. Wide plank oak flooring throughout living areas and game room. Quartz in the kitchen and all baths. Custom designed cabinetry includes 42″ cabinets with 18″ upper cabinetry and crown moulding, GE stainless steel appliances with built-in microwave and wall oven, gas cooktop and dishwasher. Fireplace in the Great Room. Low Voltage Wiring Package including upgraded security and sound system prewiring throughout the home. Contact the sales center at RedTail to preview this home.